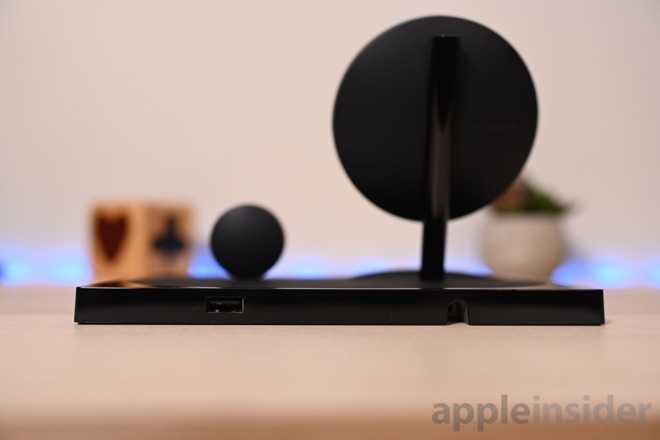 We seem to be inching closer and closer to that perfect multi-device charging dock. Our criteria has been simple -- fast wireless charging to accommodate between two and four of our daily devices. In the past, we've examined both iterations of Nomad's Base Station which came tantalizingly close. Belkin's latest offering takes a different design approach and has merits of its own but still comes just shy of what we would love to see. Charging stations all integrate a lot of familiar functionality, as is the case here. 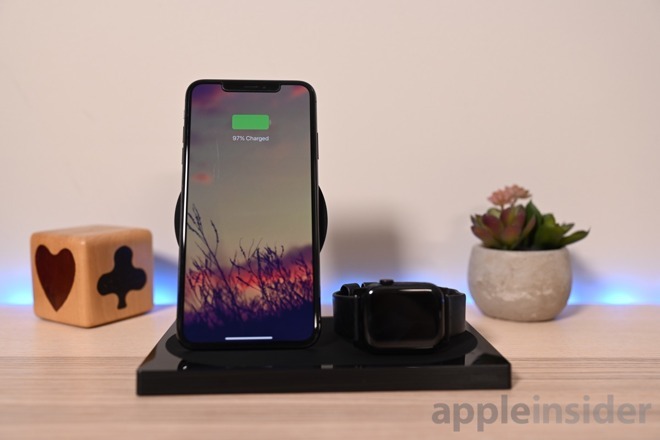 The Belkin BoostUp dock has two wireless chargers -- one for your iPhone, another for your Apple Watch. There is an additional USB output on the back to allow for a third device to charge, such as a second Apple Watch, another phone or an iPad. 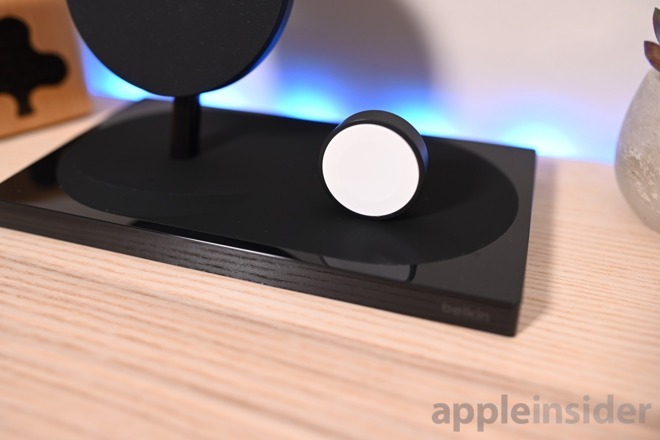 Belkin technically has two versions of the BoostUp dock available. Each is identical in function but differ in design. We prefer the Special Edition model which is available only from Apple or Belkin itself and carries a slightly higher price tag. The Special Edition version of the dock has an overall better aesthetic, in our opinion. The bottom has a bit of gloss with a matte center where the devices rest. The standard version looks a little chunky, with the Special Edition model keeping things clean and sharp. The stand that holds the phone has a simple metal pole to elevate the charging pad compared to the thick back found on the standard model. Either way, both come in white or black and look better than the bulk of cheaper alternatives found on Amazon. With the adoption of Face ID, flat charging stations have been a hard sell. When you have your phone lying horizontal, it is impossible to actually unlock it without inputting the passcode or picking it up. That has made charging stands all the more convenient over charging pads, especially bed side when you are near eye level with the phone. Belkin makes that happen with the BoostUp wireless charging dock. The iPhone on the left and the Apple Watch on the right are both oriented the same direction, letting you glance at your phone or watch at the same time. At night, we can see the time on our Apple Watch via Nightstand mode and on our desk, we can unlock our phone to check Twitter or fire off a quick Messages reply. 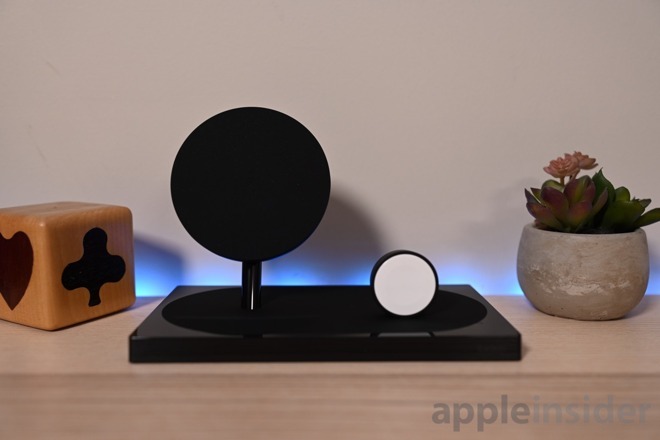 There is a minor downside to the vertical wireless charger, though, proving you can't please everyone. By living up in the air, it is impossible to charge anything but a phone or other taller device. If you have a pair of earbuds that charge wirelessly or a battery pack, neither can charge wirelessly and must be physically plugged in. The positive side is that Belkin did include a USB port around back for any of these additional power draws. This is a standard USB-A port rather than USB-C and is limited to 5W. 5W of power is going to be plenty for wearables or other small accessories, but something like an iPad Pro will take forever to top off at that rate. 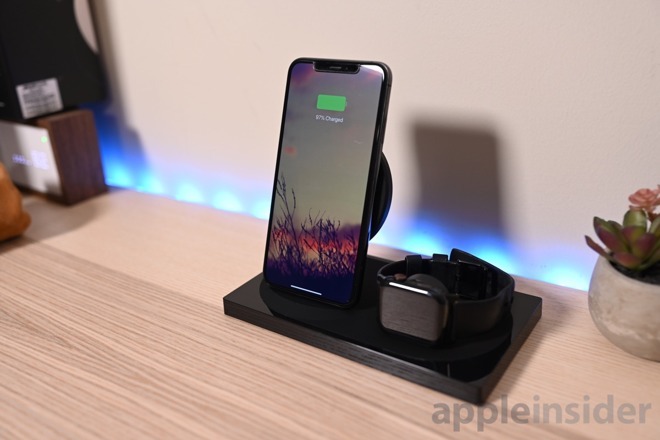 Quickly turning to the Apple Watch charger, the charging puck is completely integrated so you don't have to provide your own, leaving it free for taking on the go or charging in a second place. It also keeps the design a bit more streamlined without the need to route your own wire. The charging puck, like the wireless charger, is vertical which allows it to work with any watch band. The Belkin BoostUp Special Edition wireless charging dock, is exceptional. It has a great design, fast 7.5W wireless charging, a vertical orientation for easier use, and can charge three devices at once. It is probably 90-percent of the way there towards our ideal charging station. Preferably, we'd have a USB-C port rather than USB-A and it would be at least 15W output to power all our gear at appropriate speeds. If you don't mind USB-A or don't have a power-hungry device for around back, then the only hurdle here is the price tag. 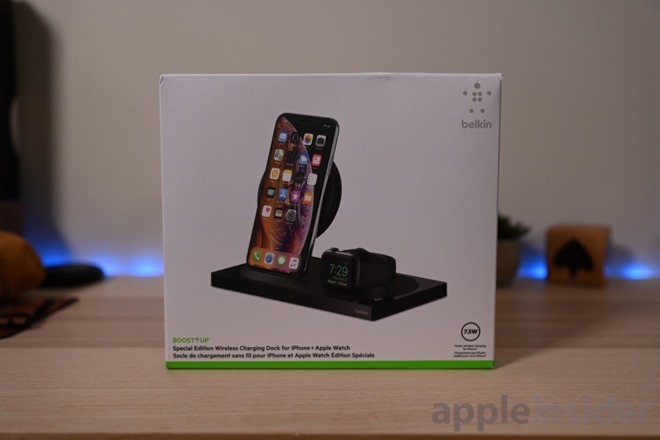 The Belkin BoostUp Special Edition wireless charging dock is available in black or white for $159 exclusively through Apple or Belkin. The slightly more affordable version is also available through Amazon for $139. Why did they have to elevate the puck? I am using a Samsung upright puck (located flat with the charger's base) and the advantage it has that the Belkin does not is the ability to charge my phone on its side. That allows me to view landscape content, like videos. Odd engineering choice (well, at least to me). Will the iPhone charge with the puck lower down? Belkin makes another model that lets you rest your phone either horizontally or vertically. Do you watch videos with your phone on your nightstand, though? That seems like a case where a wired charger would be better. why? All the iPhones (and iPads) ship with USB A cables. Why would you complain about not needing to use a dongle?